A major U.S. law firm is set to file a suit on behalf of residents of a small Washington state town against Vancouver-based Teck, operators of a lead and zinc smelter in Trail. 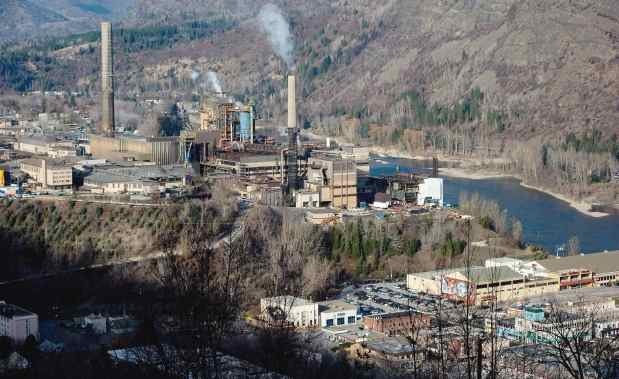 People in Northport, Wash., downstream from Trail on the Columbia River, claim that decades of pollution from the smelter have caused higher-than-normal rates of disease in their community of about 300 residents. A former resident said townsfolk were visited last week by lawyers attached to the firm Hagens Berman, which has in the past taken on individual and class-action suits against companies such as Enron, Exxon, Boeing, Intel and the Rio Tinto mining company. Founder Steve Berman confirmed his firm's involvement. "We have been contacted by residents to see if a case can be made that certain illnesses they suffer can be linked to exposure to toxic material released into the water and air," he said in an email. "We are investigating and may file next year." None of the allegations involving Northport have been proven in court. This summer, the Washington Department of Ecology released two studies that found "elevated levels" of heavy metals in surface, soils, wetlands and lake sediments in areas around Northport. The metals originated from the smelter in Trail. The Department of Ecology called on the U.S. government to conduct a study of the area between Northport and the border, with specific focus on residential areas and farm lands. Jamie Paparich, a former Northport resident who now lives in Nevada, is among those pushing for answers about the much higher rates of Crohn's disease, colitis and thyroid issues in the community. She said the lawyers who spoke to residents believe there's "a strong connection" between pollution in the Columbia and their ailments. Paparich, who suffers from thyroid issues, said she's hopeful the suit will be filed by the end of January. She said her father and an aunt both suffer from ulcerative colitis, and both have had their colons and large intestines removed. A study by a Harvard University group into ulcerative colitis in the area is due to be released next month, said Paparich. "It's one of the largest clusters of ulcerative colitis they've ever found in the U.S."
Dave Godlewski, vice-president of environment and public affairs for Teck American Inc., said Teck has changed the way it operates. "We have invested more than $1.5 billion in our Trail operation, resulting in a 95-per-cent decrease in emissions of metals to air and water, and we remain committed to continuing to enhance environmental performance," he said in an email. Godlewski said a 2004 study by the U.S. Department of Health, as well as human health studies relating to inflammatory bowel diseases conducted by both Washington State and B.C. government agencies, have found "no link to Trail Operations." Godlewski said Teck is co-operating with a U.S. Environmental Protection Agency study "to determine whether there are unacceptable risks associated with historical discharges from Teck's Trail Operations." He said studies have indicated that "water quality meets all government standards, beaches are safe for recreation and fish are safe to eat." Godlewski referred to a U.S. government report which said "elevated" rates of inflammatory bowel disease have been found in Northport and in other parts of northeastern Washington. The U.S. Department of Health report also said: "Disease incidence is not clearly related to distance from Cominco or with specific contaminants present in Cominco emissions." Interior Health was unable to provide anyone to discuss the health of residents in Trail, where there has been long-term exposure to emissions from the smelter. But Dr. Andrew Larder, Interior Health's senior medical health officer, provided an emailed statement, which said in part: "We are satisfied that the Trail Area Health and Environment Program is addressing local potential health concerns associated with the operation of the smelter in Trail."